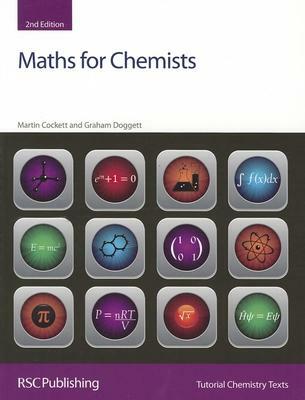 The two volumes of Maths for Chemists provide an excellent resource for all undergraduate chemistry students but are particularly focussed on the needs of students who may not have studied mathematics beyond GCSE level (or equivalent). The texts are introductory in nature and adopt a sympathetic approach for students who need support and understanding in working with the diverse mathematical tools required in a typical chemistry degree course. The early chapters of Maths for Chemists Volume I: Numbers, Functions and Calculus provide a succinct introduction to the important mathematical skills of algebraic manipulation, trigonometry, numbers, functions, units and the general grammar of maths. Later chapters build on these basic mathematical principles as a foundation for the development of differential and integral calculus. In spite of the introductory nature of this volume, some of the more important mathematical tools required in quantum chemistry are deliberately included, through a gradual introduction to, and development of, the concept of the eigenvalue problem. Ideal for the needs of undergraduate chemistry students, Tutorial Chemistry Texts is a major series consisting of short, single topic or modular texts concentrating on the fundamental areas of chemistry taught in undergraduate science courses. Each book provides a concise account of the basic principles underlying a given subject, embodying an independent-learning philosophy and including worked examples.